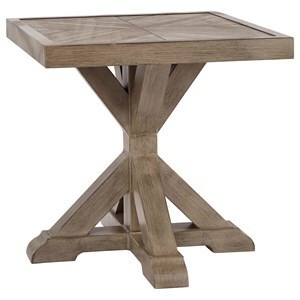 Featuring subtle natural beauty and reliable durability, this end table is the perfect piece for your outdoor space. The wood grain look of the porcelain top gives it a natural appeal, while the rust-proof aluminum base makes it resistant to all types of weather conditions. 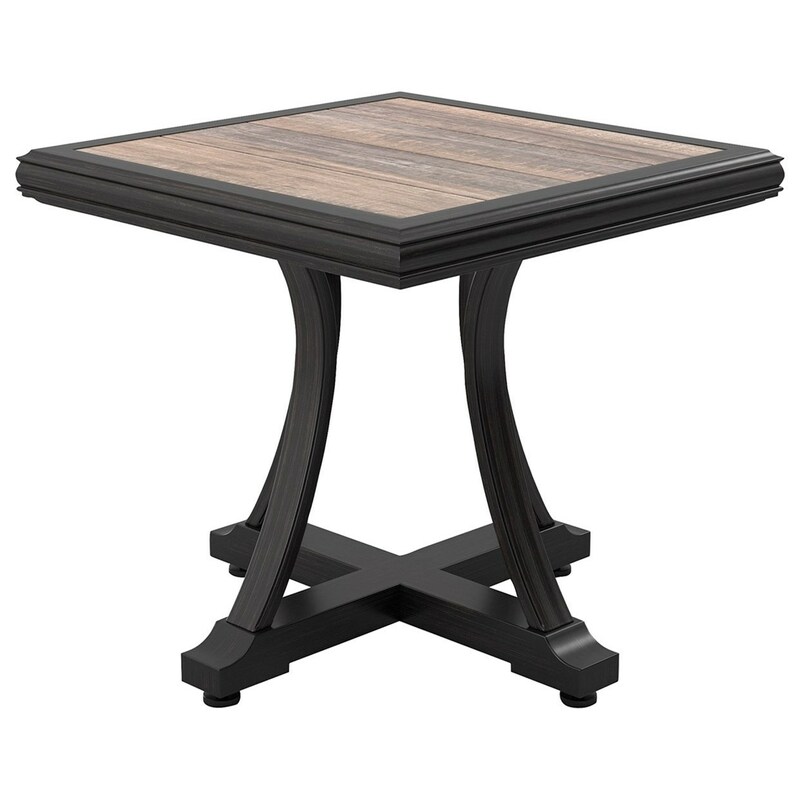 The Marsh Creek Square End Table by Signature Design by Ashley at Miskelly Furniture in the Jackson, Pearl, Madison, Ridgeland, Flowood Mississippi area. Product availability may vary. Contact us for the most current availability on this product.